Hurricane Sandy left death and destruction along its path through the Caribbean and upwards through the northeast United States over the past week. The latest death toll in the United States is nearing 100 and property and environmental damages will cost billions of dollars to repair. 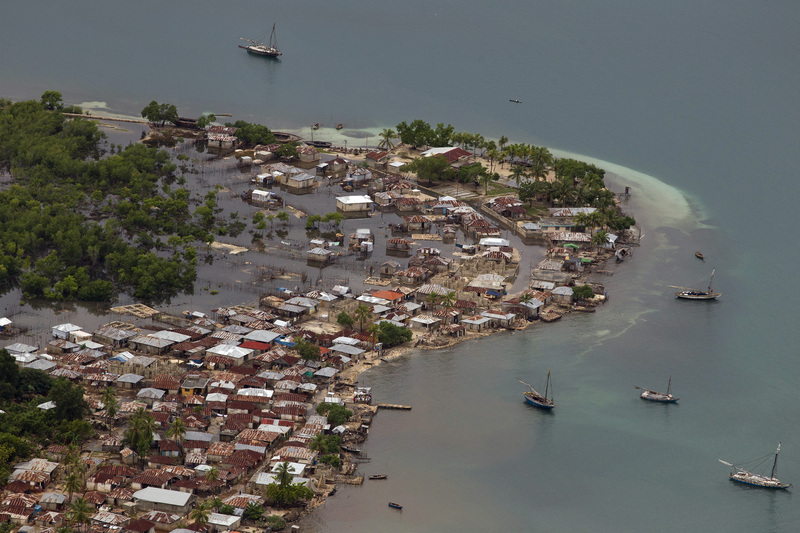 But, in Haiti where hurricanes and tropical storms are rife and where development projects remain too few the flooding, disease, and homelessness are harder to bear. 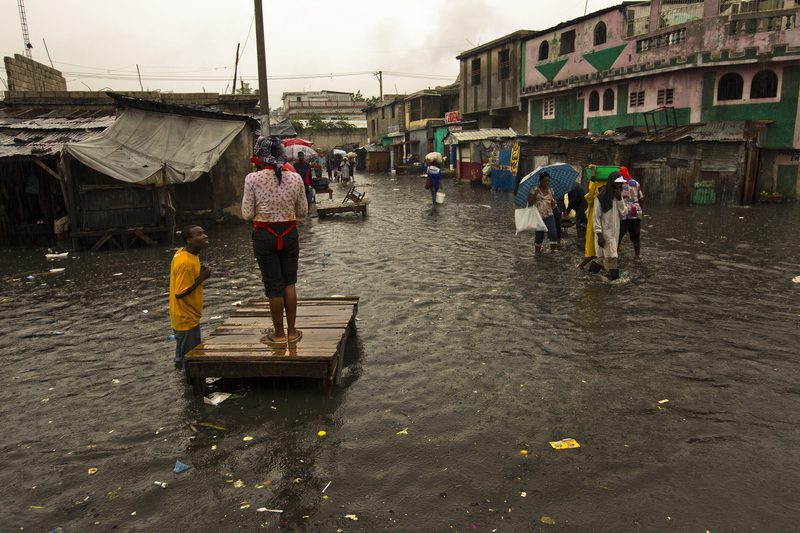 Even though Sandy roared through the Caribbean last week flooding is still a major concern particularly as cholera cases rise. 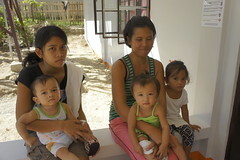 The flooding also damaged newly planted crops that may result in spikes in food prices. “Several thousand kilometres of agricultural roads were destroyed and thousands of heads of cattle were swept away by the flood waters, which also destroyed thousands of hectares of plantations,” Agriculture Minister Jacques Thomas said as reported by South Africa’s Times Live. 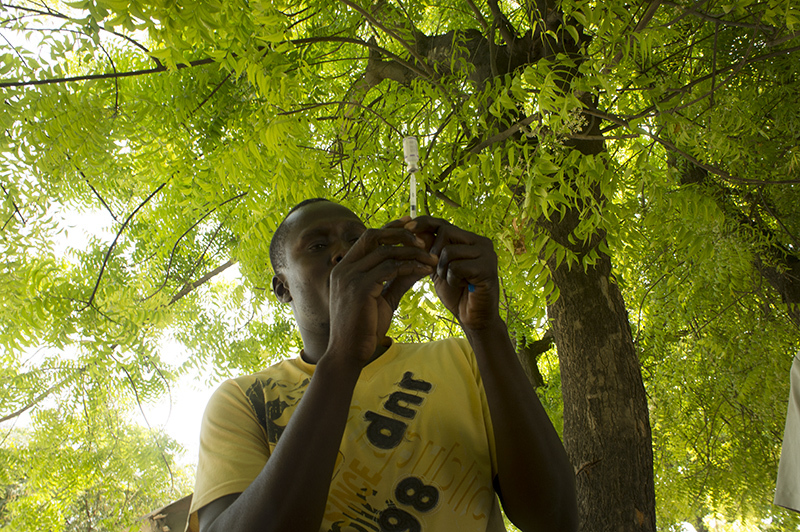 Yesterday the Haitian government declared a month-long state of emergency to accelerate infrastructure and electrical repair and restore drinking water. Johan Peleman, the head of the UN Office for the Coordination of Humanitarian Affairs’ (OCHA) operation in Haiti, told UN Radio that it is still too early to assess the full range of damages. Hurricane Sandy passed to the west of Haiti October 25, 2012 causing heay rains and winds, flooding homes and overflowing rivers. 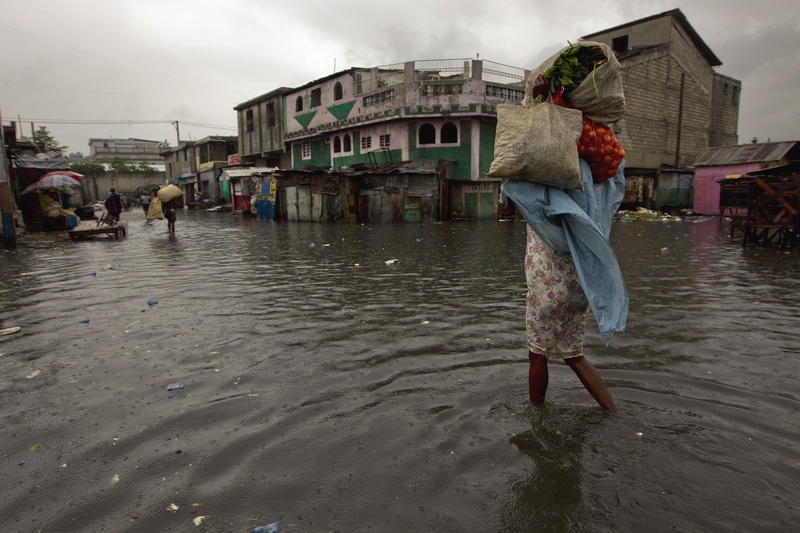 A woman walks through a flooded market in Port au Prince. Hurricane Sandy passed to the west of Haiti October 25, 2012 causing heay rains and winds, flooding homes and overflowing rivers. 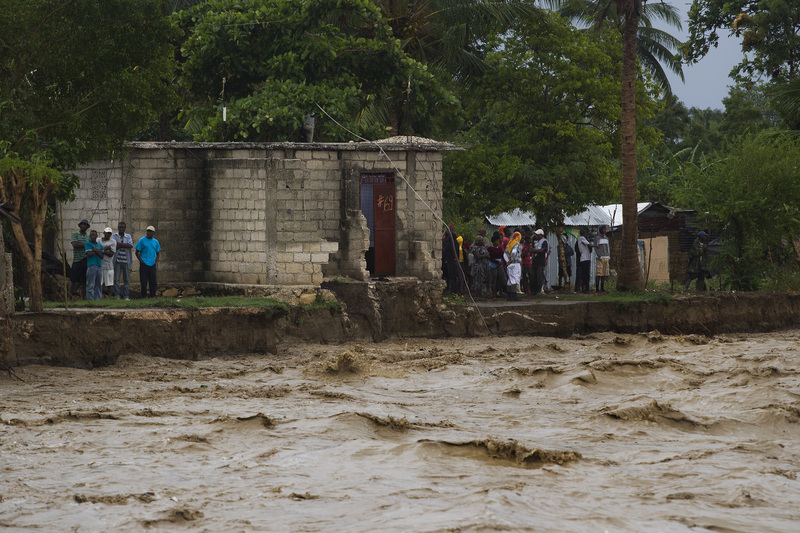 Residents stand on the banks of a river that swept away five homes in Port au Prince. Hurricane Sandy passed to the west of Haiti October 25, 2012 causing heay rains and winds, flooding homes and overflowing rivers. A coastal town is flooded. Hurricane Sandy passed to the west of Haiti October 25, 2012 causing heay rains and winds, flooding homes and overflowing rivers.